Aura® Grand Entrance Satin in A Breath of Fresh Air, 806. When the sun shines, we all inevitably contemplate the ravages of the winter months on the exteriors of our homes. 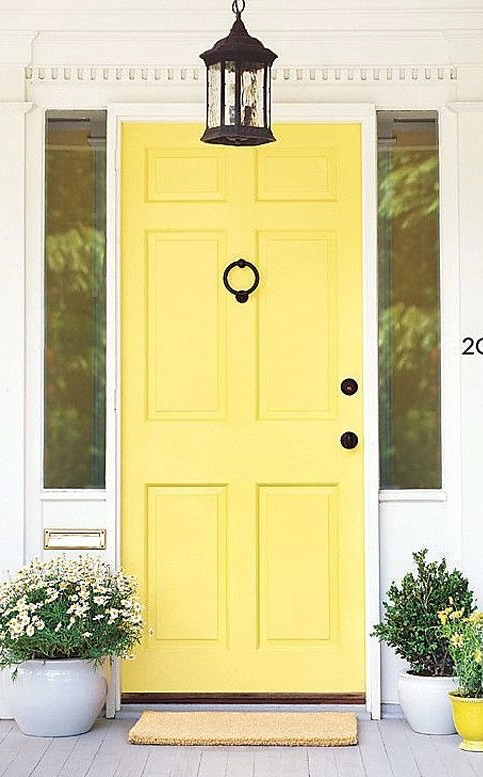 Why not treat your front door to a splash of rich, vivid colour and inject some of your own unique personality and style. 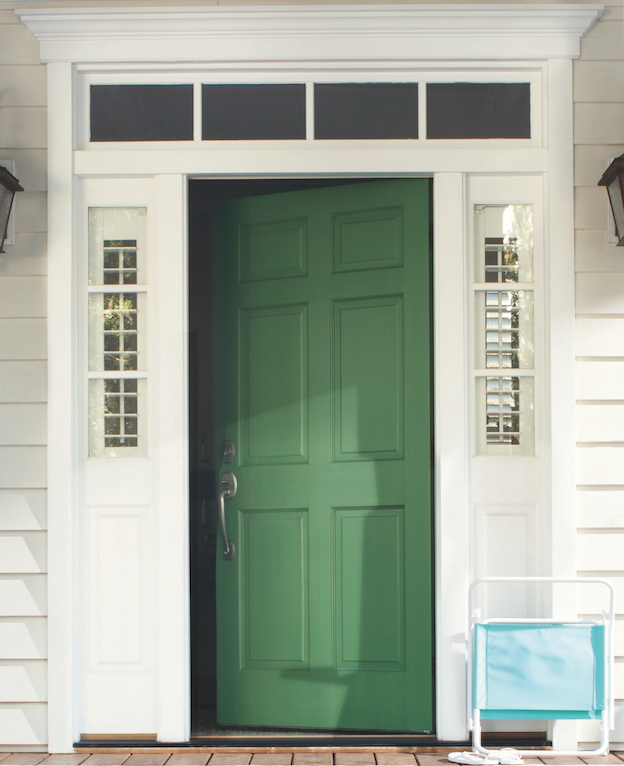 Today, we are featuring 6 front door colours, all painted in our Aura® Grand Entrance paint, to inspire you to stand out from the crowd and boost your home's kerb appeal. Benjamin Moore Aura® Grand Entrance High Gloss in Dutch Tulip. Offering exceptional colour integrity and a lasting lustruous finish, the easy to apply paint has been specially formulated to retain its colour and gloss as well as having excellent resistance to the elements. 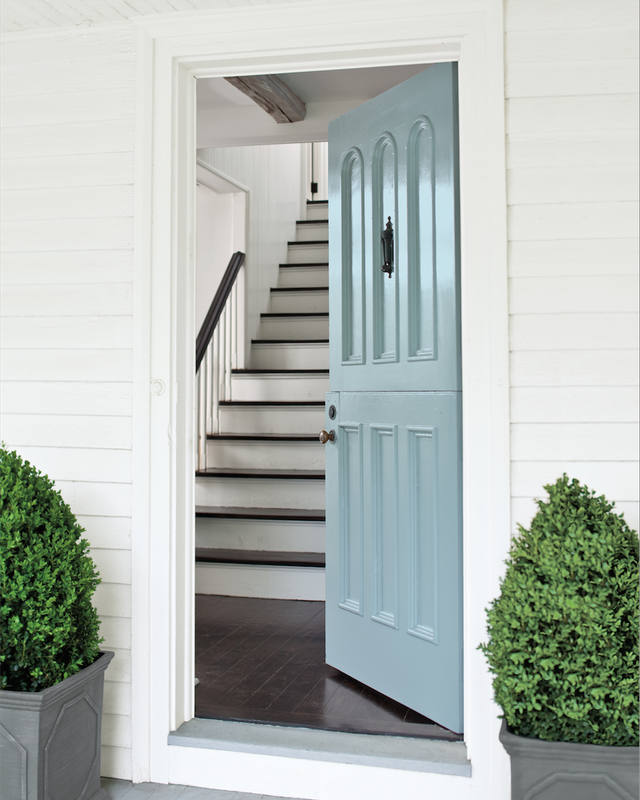 Benjamin Moore Aura® Grand Entrance Satin in Crete Countryside. Aura® Grand Entrance High Gloss in Super Nova 1414. Aura® Grand Entrance High Gloss in Wild Blueberry. 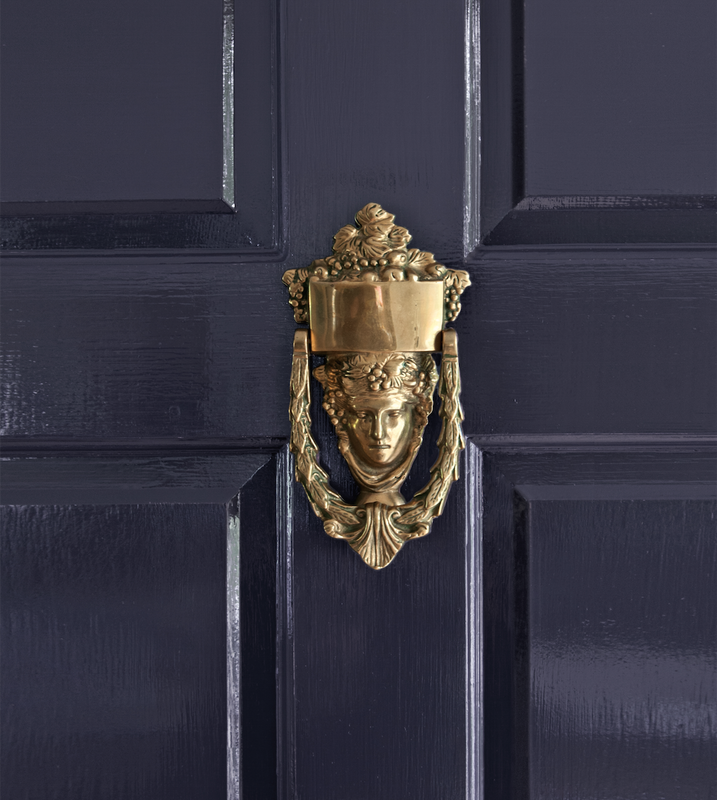 From Claret Rose red to Notting Hill Blue and even 10 Downing Street black, Aura Grand Entrance has its own dedicated colour palette of 42 stunning shades that are particularly suited to front doors due to their extraordinary depth and vibrancy. 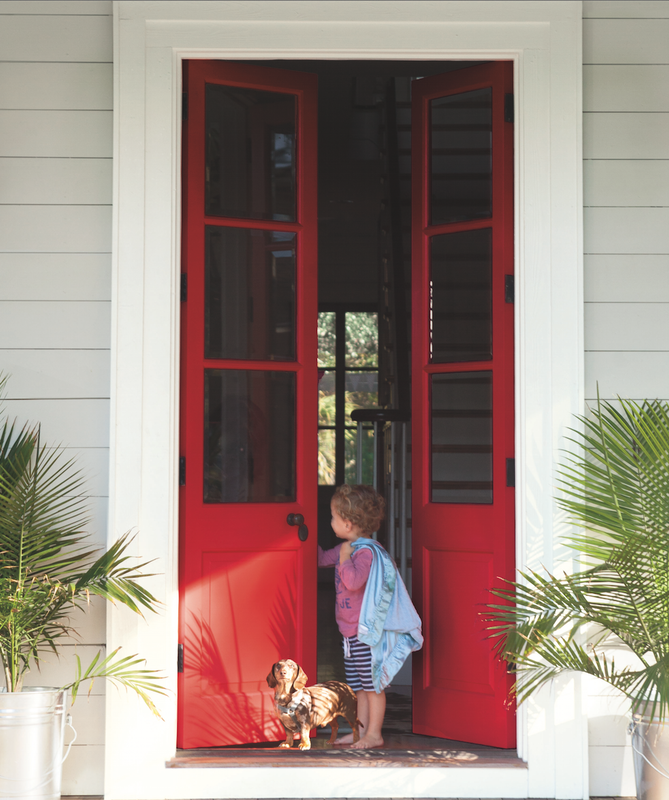 Aura Grand Entrance is available in Benjamin Moore's full colour palette but also has 42 dedicated shades. Click here to see the Aura Grand Entrance palette in full. 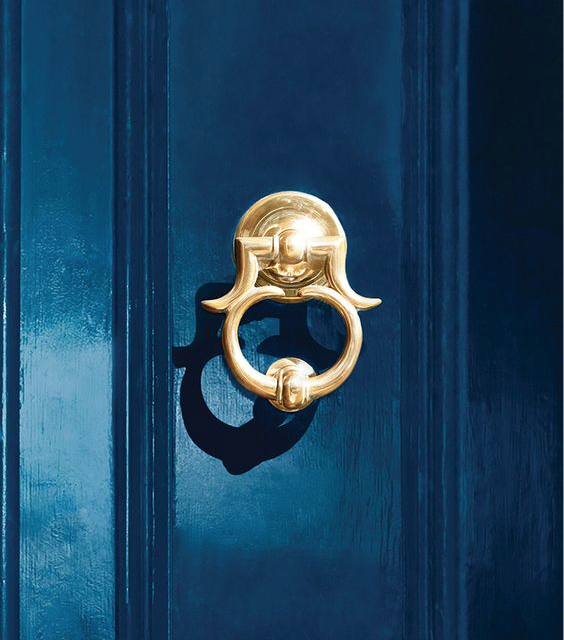 So whether you're looking to make a statement or are opting for a classic look, Benjamin Moore will help you create the most beautiful front entrance, ensuring that your colour personality shines through on the outside just as much as on the inside of your home.